Remember math class? Everyone knows what pi is, right? It’s the ratio of a circle’s circumference to its diameter, expressed as the number 3.14. The long version is 3.14159265358979323846264 et cetera to infinity. Well, a good bargain would be simpler. 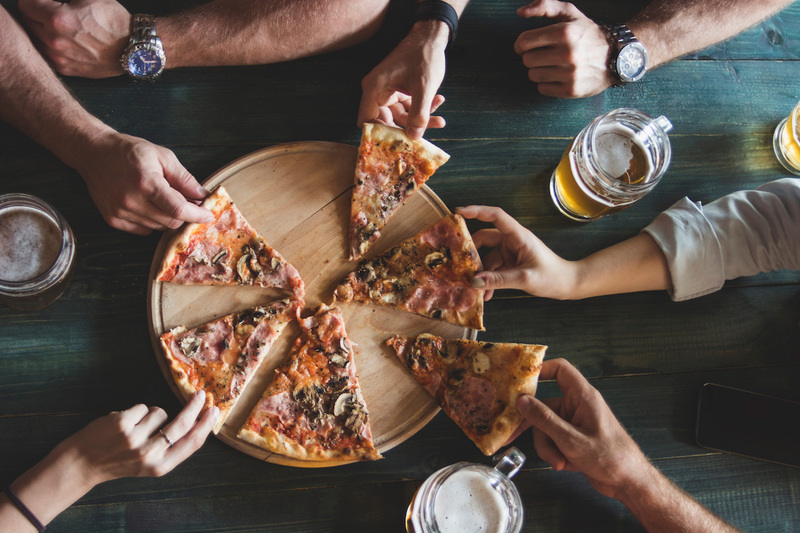 Luckily, a slew of national chains will offer deals and discounts for National Pi Day, which is held annually on March 14 (3/14). Like we always say, there’s nothing like a mathematical constant with a trillion digits to bring out those sweet, sweet deals! You don’t even need to be a math nerd to take part in these. Unsurprisingly, pizza joints are really into Pi Day, which falls on Thursday this year. Blaze Pizza: Get any pizza for $3.14 when you download the Blaze app and order in-restaurant on March 14. 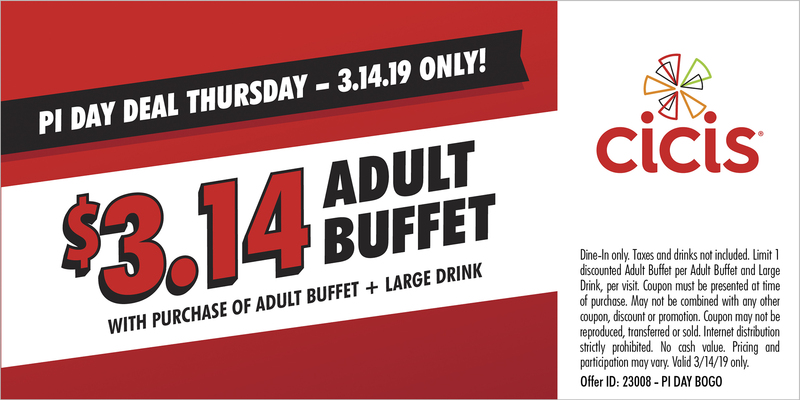 Cicis Pizza: Celebrate National Pi Day with this buy one, get one deal: Purchase an adult buffet meal and drink at regular price and receive the second one for $3.14. You’ll need a coupon for this one. Hungry Howie’s: Use the promo code PI19 online to get a medium one-topping pizza for $3.14 with the purchase of any bread. Pieology: This rapidly expanding California-based chain will serve up this deal: buy one artisan thin crust pizza, get one for $3.14. Villa Italian Kitchen: Get a whole cheese Neapolitan pie for $3.14 when you fill out this form to receive a coupon. Your Pie: Get a 10” pizza for $3.14 when you dine in at one of the chain’s 60-plus locations. Pizza places aren’t the only ones getting in on that Pi Day action. Bakers Square: Get $2 off double-crust fruit pies baked with the pi symbol on March 13 and March 14. No coupon is necessary, and the deal applies to multiple pie purchases. Bojangles: Get three sweet potato pies for $3.14. Boston Market: Get a free chicken pot pie with the purchase of a pot pie and drink. You’ll need to print out this coupon or show it on your phone. Cheddar’s: Buy one homemade chicken pot pie and get one made-from-scratch pot pie to bake at home. Grand Traverse Pie Company: Get a free slice of Michigan ABC Crumb Pie with any purchase at all 15 locations. Marie Callender’s: Get a free slice of pie with the purchase of an adult entree with this coupon. Whole Foods: Get $3.14 off any large pie from the bakery. Prime members get an additional 10% off. Mike Brassfield ([email protected]) is a senior writer at The Penny Hoarder. His only constant is food. Stephanie Sasseen, staff writer at The Penny Hoarder, contributed to this post.